The Southern Baptist Convention’s annual meeting will be in Phoenix this summer with the Pastor’s Conference beginning Sunday night June 12th and the convention meeting wrapping up Wednesday June 14th. I’m greatly looking forward to seeing a sea of familiar faces and catching up with friends this June in PHX. To help everyone enjoy their time at the SBC, we’ve put together a little video with top favorites of ours here in the Valley of the Sun. If you are on the fence as to whether or not you are coming to PHX for the SBC, maybe this will give you the nudge. 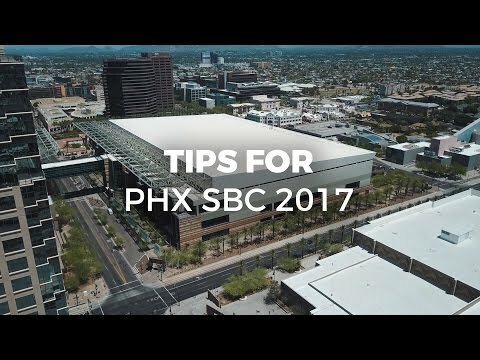 For those already planning on coming, hopefully these PHX Pro Tips will help you have a great time at the SBC! See you next month! Phoenix is an amazing place and we hope you’ll carve out some time on the front end or tail end of the SBC to rest and explore. It is a great place for families! Many people simply aren’t aware that the resorts in PHX during the summer are much cheaper. These listed are a few of the wellknown “Staycation” types, but be sure to search GroupOn for some killer deals. Eat at El Chorro for an epic AZ experience nestled between Camelback and Mummy Mountains. We hope to see you guys in PHX! What Phoenix favorites would you add?